Sunday Post to shine a spotlight on Scotland’s Gems - D.C. Thomson & Co. Ltd. This weekend the Sunday Post launches a four-part magazine series, showcasing what the beautiful and vibrant country of Scotland has to offer. Scotland’s Gems is your essential region-by-region guide to hundreds of top attractions as well as quirkier little-known venues. From the majesty of Edinburgh Castle to the splendour of the West Highland Way; from wonderful walks to breath-taking views; from the best of Scottish food, hospitality and accommodation to must-sees and must-dos you’ll be desperate to discover, Scotland’s Gems will let you in on all the secrets. This four-part guide – packed with recommendations from readers – will highlight the array of fantastic experiences each area has to offer. This weekend Scotland’s Gems features Tayside, Angus & Fife, with other regions including Glasgow, the West & Central Scotland; Aberdeen, North East and the Highlands & Islands; and Edinburgh, the Lothians & Borders – in following weeks. 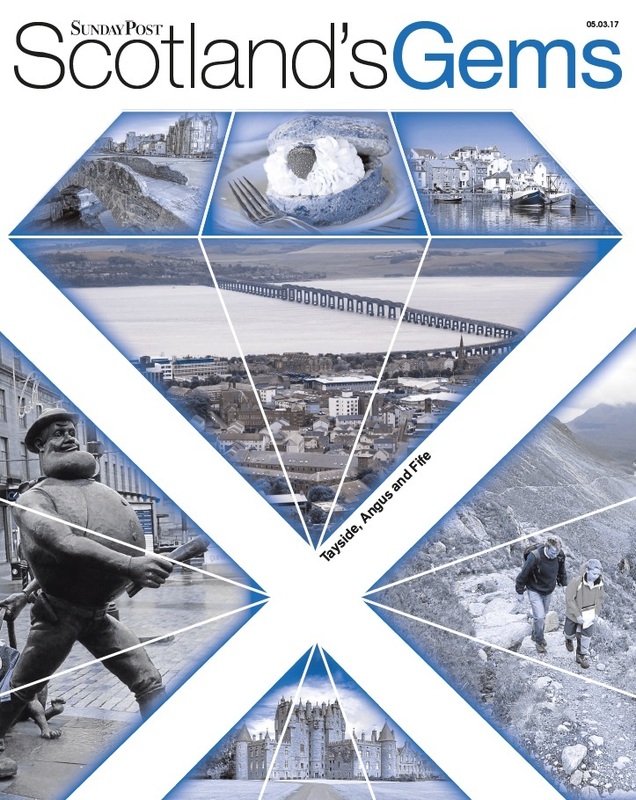 This series of special supplements will culminate in a giant fold-out map of Scotland – free with the paper on April 2nd – detailing all of the Gems featured in the magazines. Scotland’s Gems, part one, is free inside this week’s Sunday Post.